We’ve interviewed hundreds of brides over the years at DID and we have yet to find someone who regrets hiring a wedding professional to assist them in planning their destination wedding. Whether you hire a full-fledged planner, event designer or day-of coordinator, it helps to have someone on the ground to handle the logistics and help you navigate the path to nuptial success. Today, we’re highlighting one former destination wedding bride’s journey to becoming a wedding planner herself. After planning a successful wedding away in her home country of Scotland, from her current home in NYC, Lisa Bauer founded Tartan Weddings. As an experienced event planner, Lisa combined the best of both worlds – her professional prowess with her love for her home country. 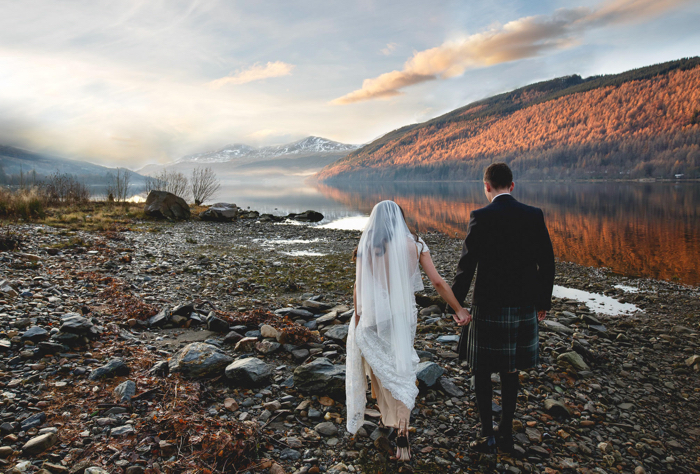 Tartan Weddings prides itself on guiding couples interested in saying their Destination “I do’s” in Scotland through the process from start-to-finish. Lisa can assist in everything from filing necessary paperwork and narrowing down vendors to incorporating local traditions and finding the castle of your dreams. 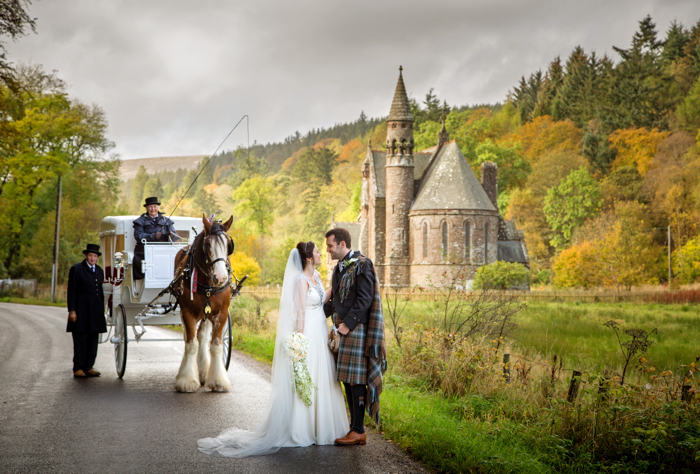 With stunning countryside, historic cities and surprising affordability, Tartan Weddings is getting ahead of the curve in anticipation for a tremendous uptick in Scottish destination weddings. We interviewed Lisa with Tartan Weddings to learn more about her new business and to share some top tips for couples considering a Scotland destination wedding. DID: Can you please share with us the story of why you founded Tartan Weddings? LB: I grew up in Scotland and moved to the States 16 years ago. The idea and inspiration [for Tartan Weddings] came from organizing my own wedding. I came back to New York and everyone had so many questions. They were also amazed at how affordable it was! DID: Your business currently specializes in Scottish castle weddings, why is that? LB: I wanted to start off with castles and estates because of the history. I travel home a few times a year to scout and add more venues. I vet each place thoroughly by staying there, trying out the food and meeting with the staff. This allows me to give thorough recommendations to my couples. DID: What are the legal requirements for getting married in Scotland? LB: It’s really not complicated! If you’re traveling to Scotland to get married, you will need to apply for a Visa. There are forms to fill out and sometimes a quick in-person appointment. To get legally married in Scotland, after you’ve received your Visa, you must file paperwork for your marriage license with the local registrar near your wedding venue. This needs to be done 30 days prior to the wedding and is something I’m happy to assist my couple’s with. Then, once you arrive in Scotland, either you or your spouse will need to pick up your marriage license. Don’t be scared about the legal requirements, it’s very doable! 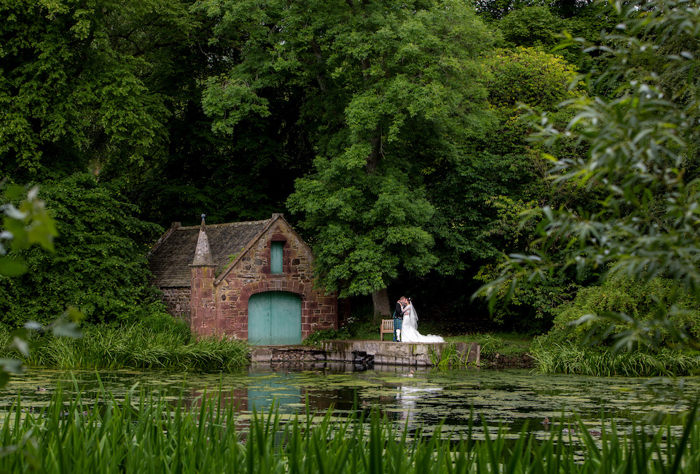 DID: Scotland isn’t exactly known for its amazing weather…what is your favorite time of year for weddings and what time of year should couples avoid? LB: It depends what you’re looking for and the vibe you want to have for your wedding. Castle weddings in the winter are growing in popularity because of the beauty of castles covered in snow. If you’re planning on driving yourselves and exploring the coasts, you’ll want to be cognizant of weather and perhaps avoid the winter months. I’ve had couples get married and be disappointed with sunny, warmer weather because it didn’t ‘feel like Scotland.’ Plus, even if it is rainy, there’s almost always a break in the weather for outdoor photos. DID: Incorporating local traditions is immensely popular with destination wedding couples. What are some of your favorite Scottish wedding traditions that couples could consider? LB: In the past few years, Scottish cultural traditions I grew up with are making a huge comeback! For example, a Quaich ceremony in which the couple and their families drink from a silver cup to symbolize the joining of two families. Handfasting is also really popular. But, back in the day, it was actually part of an engagement ceremony held a year before the wedding. Couples are reinterpreting it, though, and incorporating it into their ceremonies. It makes for beautiful photos! A few others are a six pence in the bride’s shoe and a sprig of white heather at the center of her bouquet for good luck. Incorporating these unique traditions into your wedding makes it really, really special. For more information on hosting a wedding away in Scotland or to begin planning with Tartan Weddings, visit tartanweddings.com. You can also follow along on social with Facebook, Instagram and Pinterest.